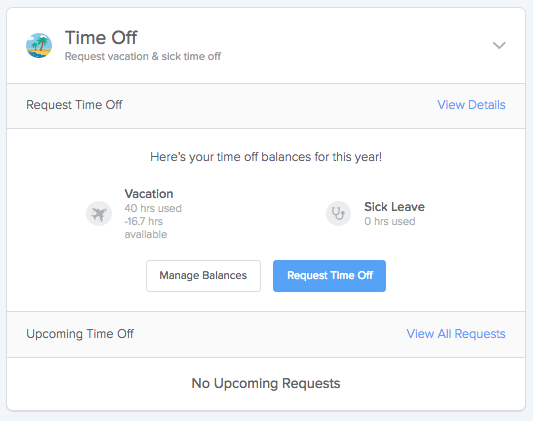 As an admin, how do I adjust someone's current PTO balance? Step 1: Go to the employee's profile and click their Time Off card. 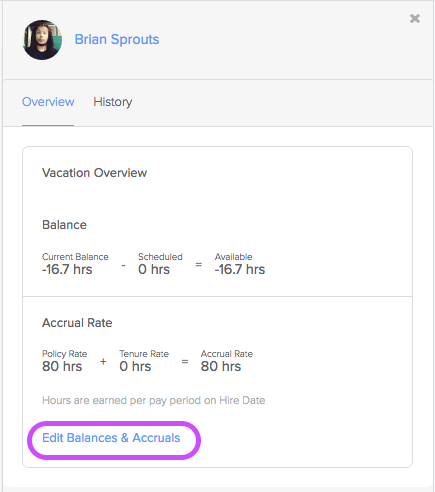 Then click Manage Balances. Step 3: You will then be able to adjust the Current Balance. 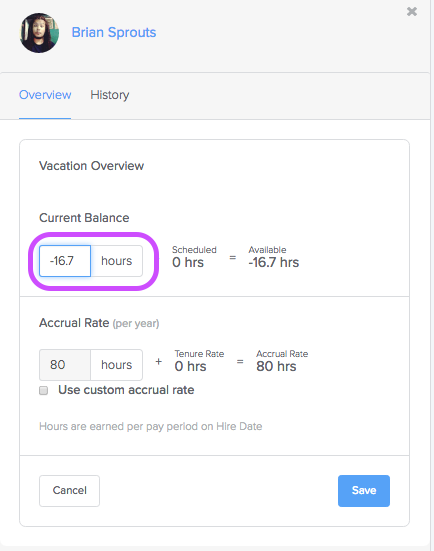 Put in the correct amount of hours the employee should have and click Save.